Learn PyTorch for implementing cutting-edge deep learning algorithms. 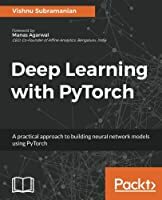 This book will get you up and running with one of the most cutting-edge deep learning libraries-PyTorch. PyTorch is grabbing the attention of deep learning researchers and data science professionals due to its accessibility, efficiency and being more native to Python way of development. You'll start off by installing PyTorch, then quickly move on to learn various fundamental blocks that power modern deep learning. You will also learn how to use CNN, RNN, LSTM and other networks to solve real-world problems. 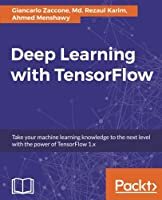 This book explains the concepts of various state-of-the-art deep learning architectures, such as ResNet, DenseNet, Inception, and Seq2Seq, without diving deep into the math behind them. You will also learn about GPU computing during the course of the book. You will see how to train a model with PyTorch and dive into complex neural networks such as generative networks for producing text and images. 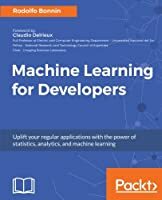 This book is for machine learning engineers, data analysts, data scientists interested in deep learning and are looking to explore implementing advanced algorithms in PyTorch. Some knowledge of machine learning is helpful but not a mandatory need. Working knowledge of Python programming is expected.